Interface Animations and Transitions: where to get inspiration, by Stéphanie Walter - UX designer & Mobile Expert. This content is 6 years old. Remember that the following content might be outdated. In UI and UX design every little detail tends to count more and more. Providing the user with small transitions and animations between interface elements is today part of the global user experience of both native application and websites. The great “Transitional Interfaces” shall give you more details on how some small little animation can have a deep impact on user experience. And it’s our job as Web Designer to imagine those interactions. But it might not always be easy, so a little bit of inspiration is always welcome. On the top of that, it’s always complicated to explain to a client or a front developer what is going on in our mind, how we imagine and see this or this interactions. 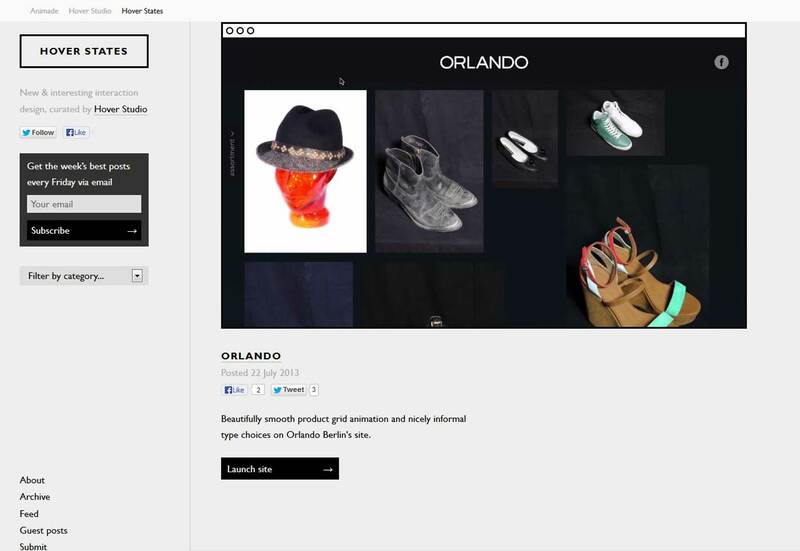 They are of course great design inspiration galleries, but most of them provide static screenshots of the whole design. So explaining to another human being what is pretty clear in our little head can get tricky. I found out that it was more easy for me (and maybe for you too) to simply show clients and front-developers examples of the kind of animation or interaction I would like to reproduce for my design. 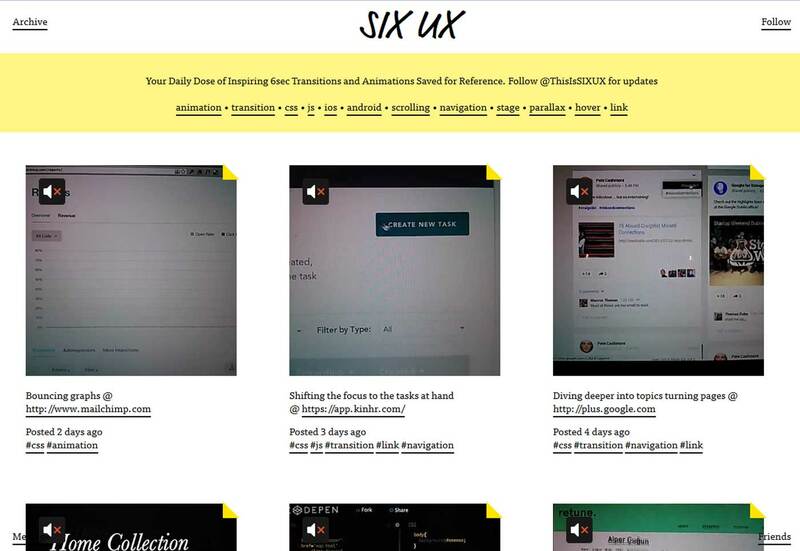 This is way I’ve decided to put together a little list of some great websites that showcase some interaction example and also of some CSS Frameworks I use. I might not use the whole code of the ones I mention above, but most of them are a good starting point to explain to both clients and developers what kind of transition I imagined for their interface. This tumblr showcases Vine videos of 6sex Transition and Animation. 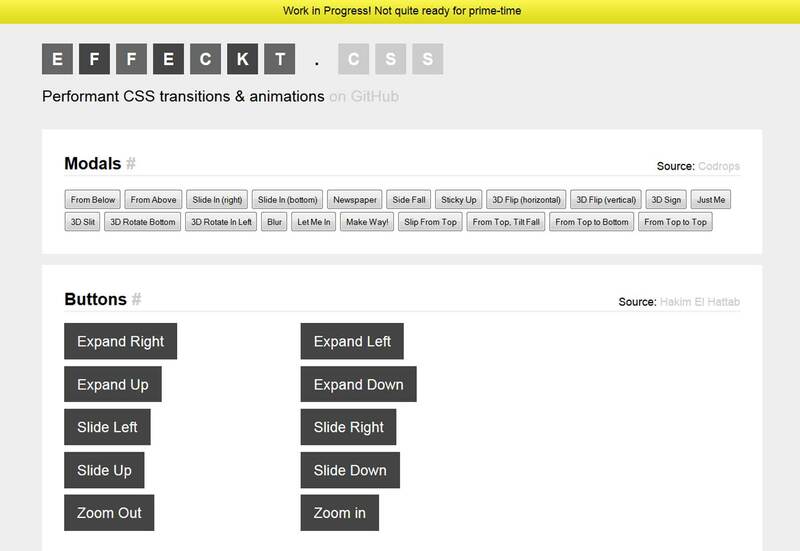 “A bunch of cool, fun, and cross-browser animations for you to use in your projects. Great for emphasis, home pages, sliders, and general just-add-water-awesomeness.” The animations are classified in categories and you can test them on the little “I fight for the user” element. 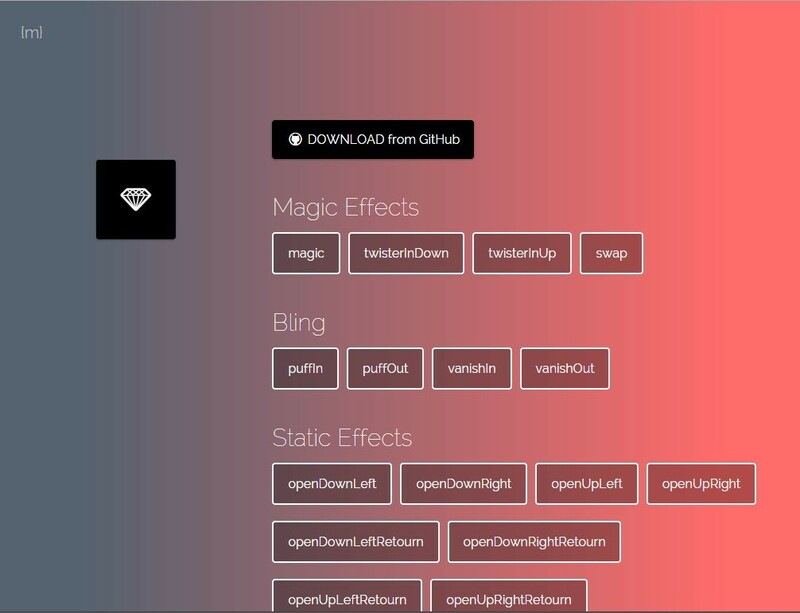 Bonus point : animate.css has a “custom bluid” option so you can download only the one you really need for your project. 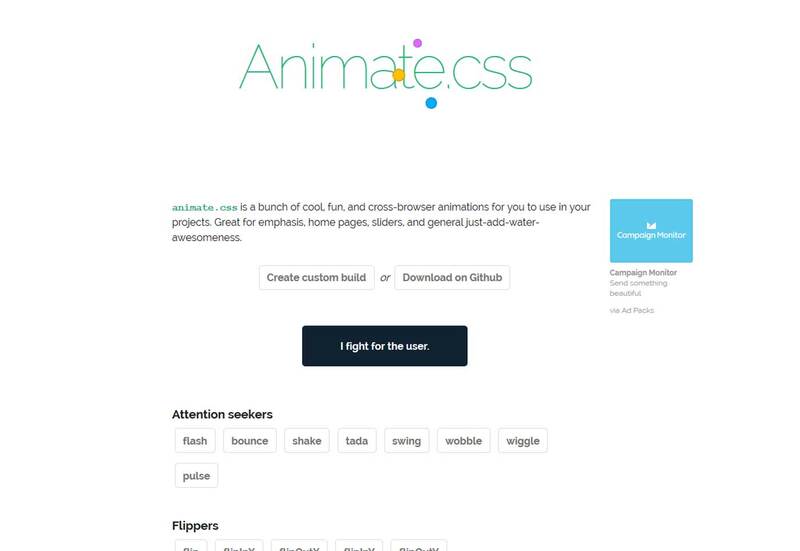 This Framework is inspired by animate.css and offers many animations in different categories. Some are more re-usable than others on real projects. You can test them by clicking on their name. You get the code via the project’s github. You will need jQuery to trigger the animations, but it might be quite easy to adapt the code for CSS :hover states or VanillaJS. 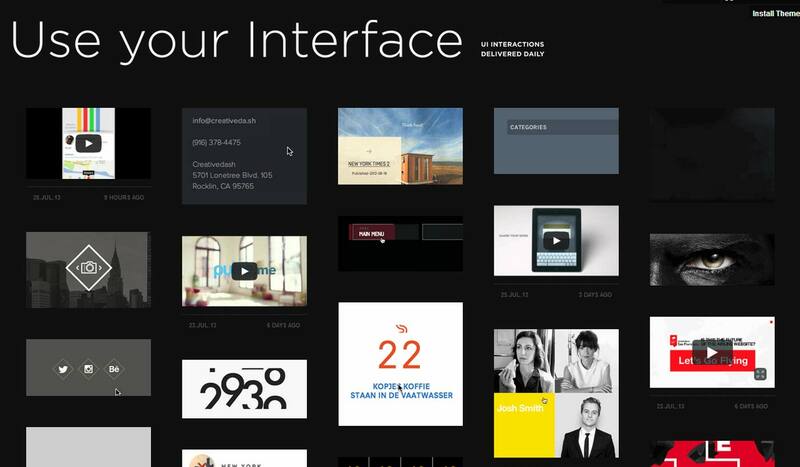 This library is based on “Page Transitions” from Codrops. 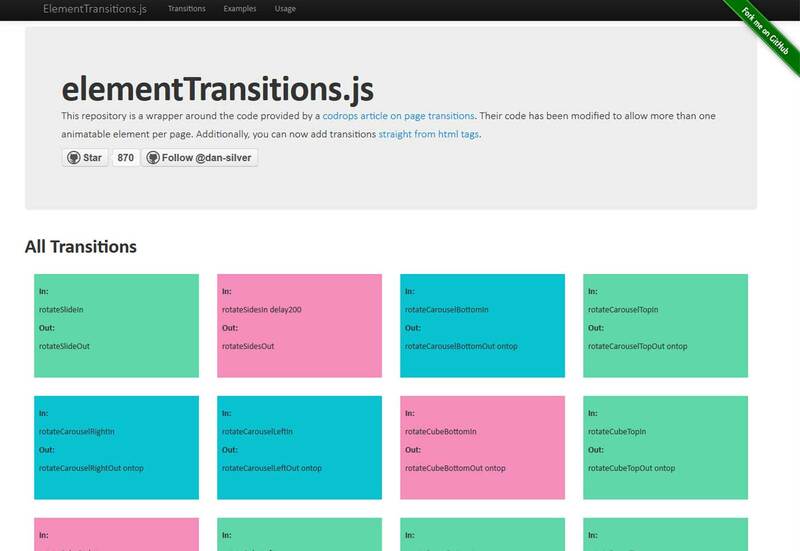 ElementTranstions modified some transition to allow them to be applied on different HTML tags. You might not re-use the whole code, but it’s a nice start to see what can be done in CSS and give you some ideas for interactions. 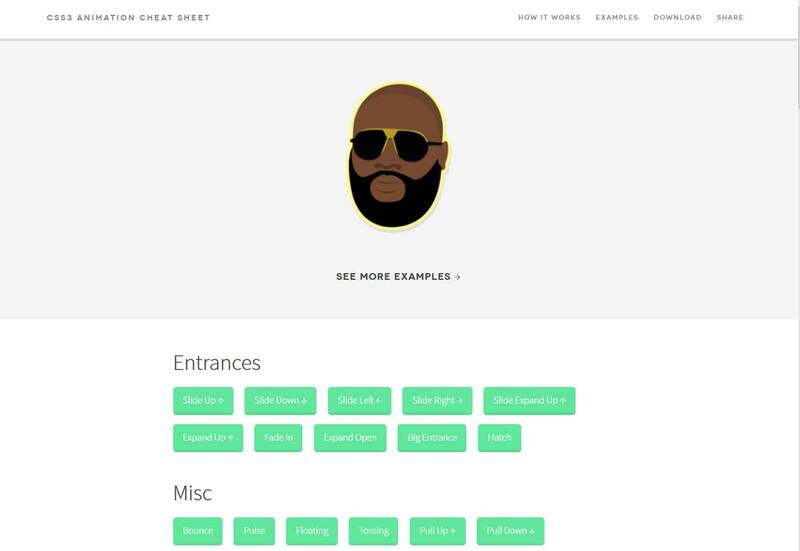 This gallery put together some code from Codrops, CSS Tricks and other great blogs. 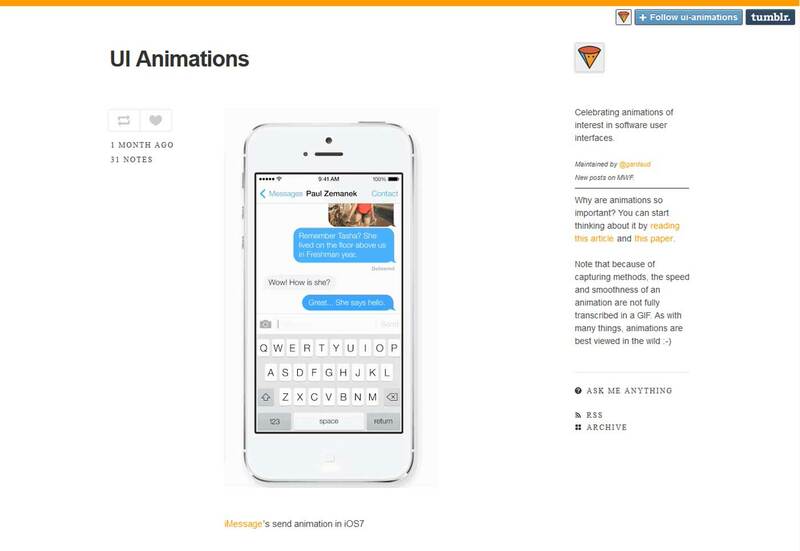 You will find animation and transitions for modals, buttons, list items and scroll lists, off-canvas navigation, etc. This site is a “work in progress” and you can even contribute. It’s clearly not here to provide “read to copy paste” codes for nice elements (all the demos are ugly gray) but to give you a nice start to build on. This one offers a nice little gallery of interactions and animation you can test on a friendly head. Animations are built in CSS3 and work without JS, but you can add jQuery to trigger the animation when the users scrolls on the page to the element. There’s even a nice little demo for that. 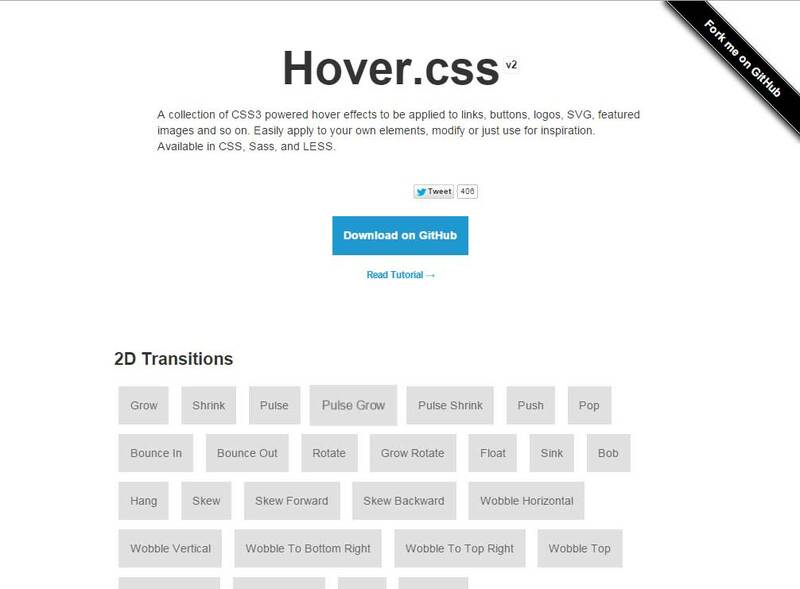 This ressource is a git repository of different CSS animations and transitions that are applied on :hover trigger. There’s sorted by type: 2D transitions, background, etc. Nice one, I’ll add this to the list, thanks a lot !! 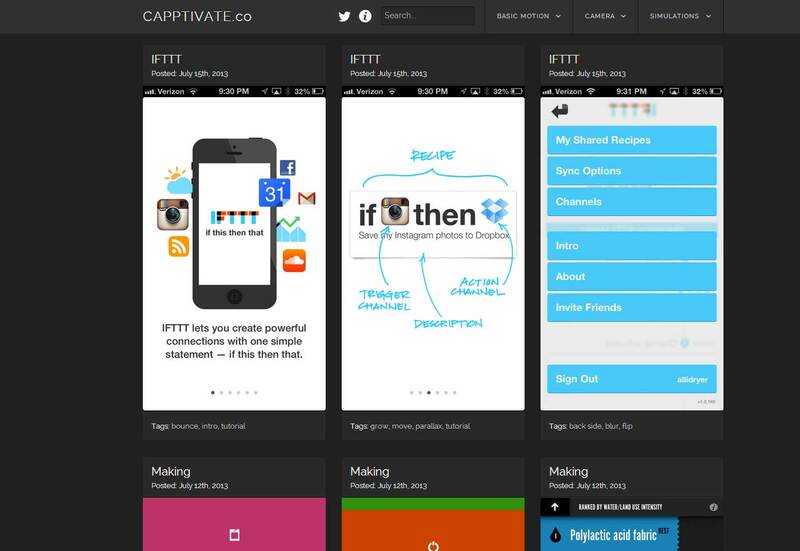 Have linked to ways to find inspiration on CSS deck/Codepen too.